The smallest arena in the NHL has managed to get a good bit bigger — by throwing a block party — and fan fervor and per caps are both on the rise. The Winnipeg Jets played Game 6 of their second-round Stanley Cup playoff series with the Nashville Predators at home Monday night, losing 4-0 and sending the series to a deciding Game 7 on Thursday in Nashville. 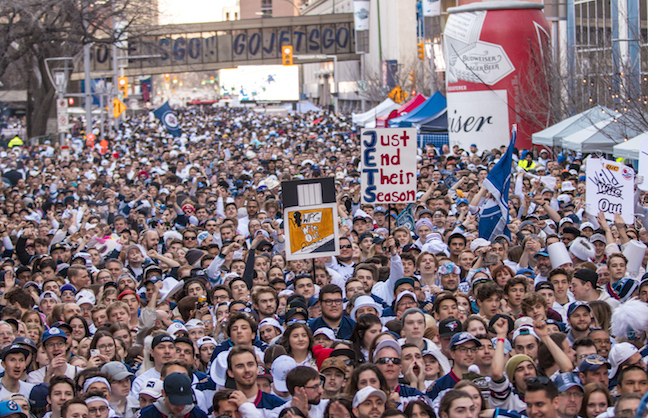 Bell MTS Place was filled to its 16,345 capacity, but the total number of fans on hand to celebrate was more than double that, thanks to the Winnipeg Whiteout Street Party, which was expected to draw 23,000. Kevin Donnelly, arena general manager and senior vice president of True North Sports & Entertainment, which owns and operates both the team and the arena, said the idea for the event was born this year as a way to get more fans a taste of playoff action for home games. The “whiteout” tips its cap to Jets fans’ tradition of wearing all white to playoff games, dating back to the city’s previous NHL franchise, and the street party crowds carry on the tradition. The downtown party area includes a four-block plaza, 2 ½ city blocks and an adjacent park and has concession stands and seven giant TVs. More than 300 workers man the outside area for the events, which offer free admission. Six thousand people showed up on the night the block party was unveiled, for the first-round opener against the Minnesota Wild on April 11. It was 25 degrees outside. The second block party, April 13, saw 9,000 people flood the streets. It was 15 degrees. By the third game April 20, when Winnipeg finished off the Wild, the outside temperature had climbed to 65 degrees and the crowd had climbed to 18,000 revved-up Jets fans, and the warm weather has continued. “We are now settling into a pattern here,” said Donnelly, delighted. “We’re seeing more people outside than inside. With the audience intensity inside, and the street action outside, it is pretty remarkable. 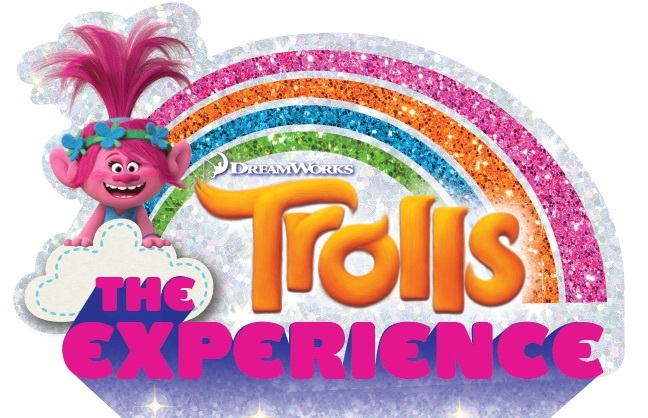 Donnelly took his plan to Mayor Brian Bowman and Economic Development Winnipeg, the city’s tourism branch. “I pressed upon the city that if we didn’t do something, the fans will look to go someplace and it’s always better to provide a location than to guess where they will show up,” he said. Fencing, toilets, large TV screens, food and beverage, and security all had to be part of the plan. Once the Jets clinched a playoff berth, Donnelly was elated to see the plan get pushed into action. “We immediately went to our concessionaire, Centerplate. I explained my vision for a ‘Winter Whiteout Block Party’ and they concocted a special menu,” he said. 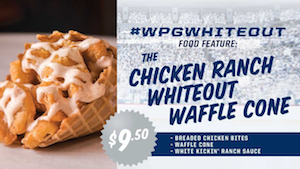 Bell MTS Place's Chicken Ranch Whiteout waffle cone, created for the #WPGWhiteout block parties. Vidal and his team came up with special food items such as the Chicken Ranch Whiteout waffle cone, Whiteout poutine and a Whiteout pizza. “These are brand-new items, mostly twists on traditional items we already sell, and keeping with the “#WinnipegWhiteout” slogan that was designed for the playoffs,” Vidal said. The street party is doubling traditional per cap revenue, Vidal said. Promotion was done by a media event with Donnelly and the mayor. The press conference was held the day before the first event. The Jets will play Thursday for a chance to move on and face the Vegas Golden Knights in the next round, and if they advance then the parties will keep going. “We’ll absolutely continue the program till the end,” Donnelly said.